Mary and Richard discuss dealing with pain and the necessity of cultivating a rich interior. No one can touch this pain I'm feeling. 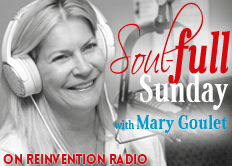 @MaryGoulet talks about reaching deep within to find comfort.